IBM launched the virtual desktop in India that offers anytime, anywhere access to personal desktops from mobile devices including tablets, net books, laptops and thin clients. The IBM Virtual Desktop allows Windows or Linux desktops to be hosted and managed centrally, thus lowering the cost and complexity of managing Personal Computer environments through rapid deployment of new applications, automatic software updates and reducing the need for help desk requests, IBM said in a statement. "The technology helps in to reduce cost by 20 to 30 per cent, improve date security and to increase workforce productivity. We expect installation of 50 virtual desktop by the end of September, 2011," IBM India/SA Vice President IBM.com -Inside Sales Organization Jyothi Satyanathan said. The company will be offering services through its business partners such as ZSL and Ingram Micro. "The company is providing training in eight cities including Delhi, Mumbai, Pune, Hyderabad to its 104 existing partners," Satyanathan added. 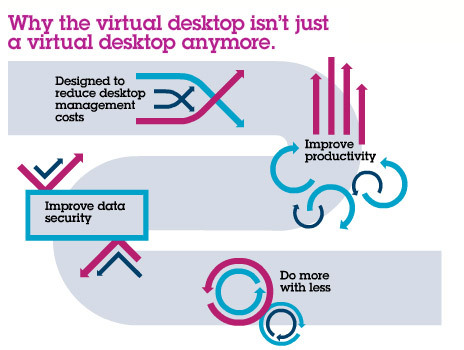 IBM Virtual Desktop for smart business closes the gaps between previous desktop and virtual desktop infrastructure approaches and is based on a key set of attributes designed to help clients get more out of every IT dollar faster. IBM’s Virtual Desktop has new features such as high-definition multimedia support and enhanced mobility. It is built on VERDE 5.1 technology, and combines virtual desktop infrastructure (VDI), integrated offline VDI (using an integrated client-side hypervisor), and remote branch office functions. This version 2.2 includes VERDE software from Virtual Bridges and can be deployed on a company’s own IT infrastructure or on private clouds. It also offers USB 2.0 peripheral support for integrated offline and online VDI. Another feature is the single user console from which users can access USB drives, keyboards and mice, printers, scanners, barcode readers and check printers. What does the version numbers mean in a Software?